The five stone shapes shown in this section can be produced in all five sizes. A design from the selection below can be added to your memorial in either gold, white, or colour at no extra cost. For further information please simply fill in the form below. 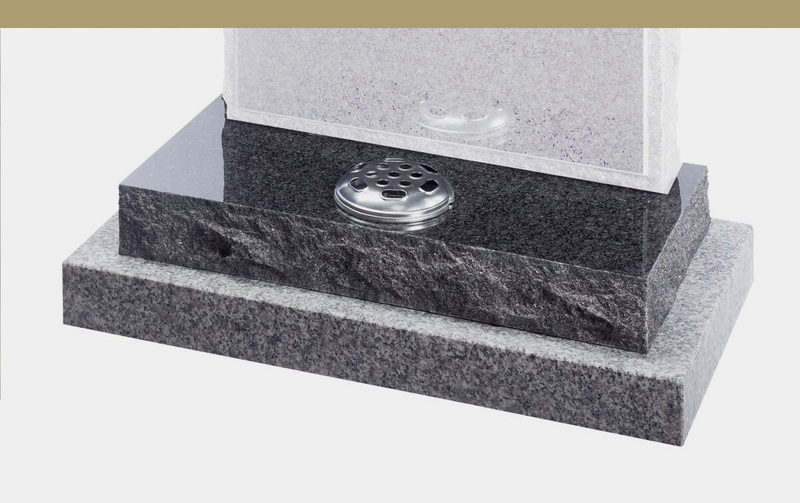 Shown here is an example of a granite plinth, which is included with all new memorials.